Those familiar with the UK show scene have no doubt have seen Steve Fraser’s (IG: @S30BMX) S3 before. 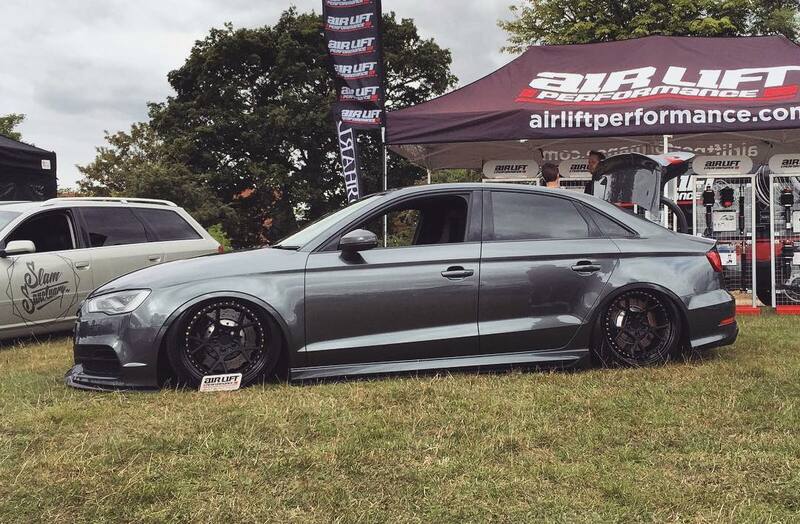 What you might not know however is the grey and black sedan packs a 500bhp punch with a host of performance upgrades under the skin. Everything is not as it first seems with this car, with a hybrid turbo, intercooler, breathing mods and a full free-flow exhaust system all hiding under that carbon-clad, show car exterior. A super-quick sedan lurks beneath it’s polished look. 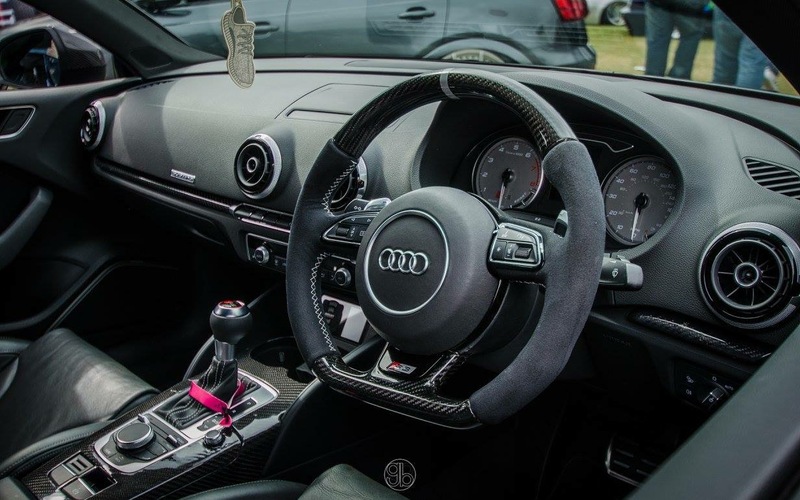 For the interior, Steve opted for B8 RS4 Recaro front seats to keep him planted and carbon fiber accents on the steering wheel and center console. It’s an unusual move in a car that’s already well-equipped from the factory, but the subtle, alcantara trimmed wheel speaks volumes about the low-key approach to the build. But the subtlety doesn’t stop there. 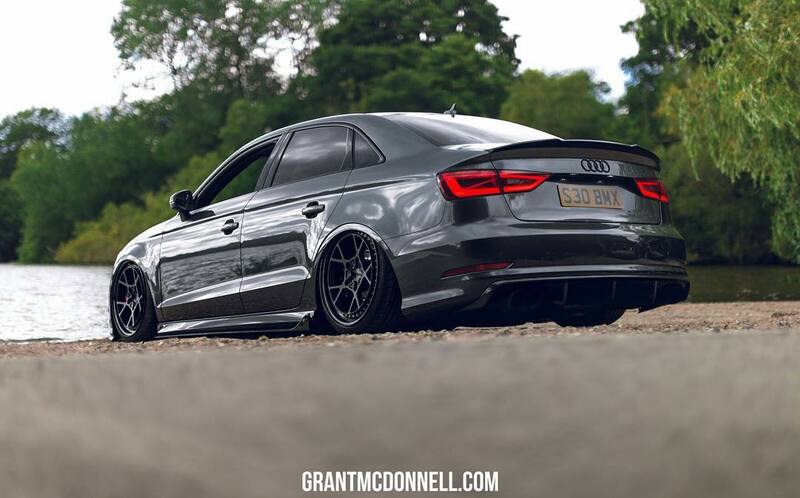 If you look very closely behind the 19″ forged Rotiform KPS, you’ll see an Audi RS6 390mm waved front disc with a matching 6 pot caliper up front, and an Rs7 waved rear disc setup in the rear. Suspension wise, Steve opted to use Air Lift Performance 3H complete with a hard-lined boot build and carbon fiber tanks. Familiar with the management system from his previous builds, Steve knew he wanted the self-leveling and wireless connectivity capabilities of Air Lift Performance’s 3H for this build. 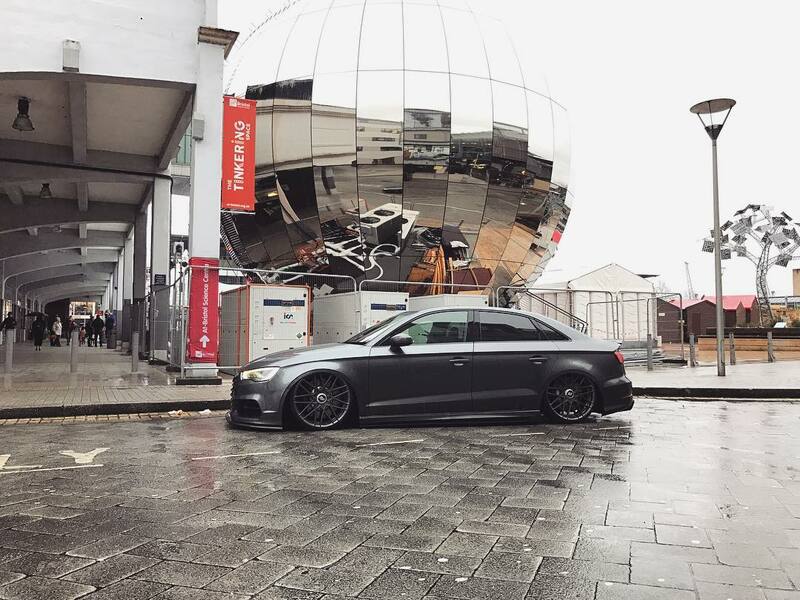 For the winter period, Steve bolted up a set of 20″ Rotiform RSE while the winter salt is on the roads in the UK. As far as winter wheels go, these have a pretty awesome look to them! Steve’s got a new look planned for the 2017 show season and it’s set to be unveiled at Ultimate Dubs 2017 and we’re certainly excited to see what he has in store!